by Ron Holman, Ph.D • Stress is today’s number one proxy killer. In fact, it’s the cause of more than 60% of all human illness and disease, according to the American Medical Assn. Welcome to Part I of our 13th annual PPO survey. For this survey, seven PPOs in California diligently answered direct questions about their plans. Our readers, who are savvy health brokers, suggested many of the questions. We hope this information will help the professional agent or broker better serve sophisticated healthcare clients. Karen M. Gustin, LLIF • In today’s world, businesses make changes randomly throughout the year, such as downsizing or undergoing mergers or acquisitions, decisions that may require modifications to benefit plans. Unfortunately, not all dental carriers are able to make these adjustments. Leila Morris • Nearly 150 vision plan reps, brokers, and HR managers attended the sixth annual managed vision care track at Transitions Academy in Orlando January 27 to January 30. A central message from the event is that vision plans are more relevant than ever, post health reform, because they help employers control healthcare costs and continue to provide a high value to enhance an overall benefits package for employees. driving the market for voluntary guaranteed issue disability insurance. by Chris Bettner • This year could be good for consumer directed health plans (CDHPs) with many signs point to growth over the next few years. Employers are likely to migrate into CDHPs as brokers across the country report double-digit rate increases. Growth may be concentrated in the mid- and large-group markets in 2014 if smaller employers default to the exchanges. by William L. Hezzelwood • A major challenge for life insurance policy owners is the lack of funding in many flexible premium life insurance contracts. by Leila Morris • We feature coverage of LISI’s Think Event 2013. Industry leaders give their take on how to prepare for the post-health reform market. The latest news on the Medicare Advantage market including coverage of how policy makers are looking for budget savings in the plans and adjusting the benchmarks. Affordable Care Act (ACA) has been enacted and health care costs continue to rise. Stress is today’s number one proxy killer. In fact, it’s the cause of more than 60% of all human illness and disease, according to the American Medical Assn (AMA). Two thirds of Americans are likely to seek help for stress; and 54% are concerned about how much stress they face in their everyday lives, according to a 2004 survey by the American Psychological Assn. (APA). • 55% of people who say they don’t have enough time to do things they want to do. • 47% of parents with children under 18. • 44% of 18- to 29- year olds and 46% of 30- to 49- year olds. • 40% of women and 35% of men. Depression often occurs along with anxiety disorders and substance abuse, according to the National Institutes of Mental Health (NIH). And Depression is likely lapse into chronic disease if not treated effectively, according to The Centers for Disease Control and Prevention (CDC). In fact, it’s often associated with excessive drinking; drug use and abuse; smoking; and physical inactivity – behaviors that often cascade into chronic diseases, such as obesity, sleep disorders, heart attack, and stroke. About six million men and nearly twice as many women in America suffer from depression, according to the National Institutes of Mental Health (NIMH). Millions of people face anxieties, phobias, panic attacks, obsessive-compulsive behaviors, post-traumatic stress, and other disorders. As insurance and employee benefit professionals, it is our responsibility to help clients break down the barriers and stigma associated with proper mental health care. Some keys to success are early intervention, prevention, and education. The rewards are clear; positive mental health is associated with better health habits as well as better endocrine function and immune response – factors that increase longevity and productivity. The Dept. of Labor reports that today’s workers have greater access to wellness and employee assistance programs as employers recognize that these programs help reduce medical costs and improve the quality of life. But it is essential to integrate wellness and employee assistance programs (EAPs). Full service EAPs, from Knox-Keene licensed companies, have demonstrated better success rates in taming stress, depression, and anxiety. Free EAPs can actually cause harm when people expect to receive mental health services, but get no more than a telephone assessment or a referral. Ron Holman has a PhD in counseling psychology. He also holds a MFT license and is a Certified Substance Abuse Counselor. He founded The Holman Group in 1979. The Holman Group is comprised of four companies of which Dr. Holman is the president and chief executive officer. The companies provide treatment and services to more than 500,000 people in over 1,200 organizations nationwide. For more information email theholmangroup@holmangroup.com, visit www.holmangroup.com, or call 800-321-2843. Welcome to Part I of our 13th annual PPO survey. For this survey, seven PPOs in California diligently answered direct questions about their plans. Our readers, who are savvy health brokers, suggested many of the questions. Look for Part II in our April issue. 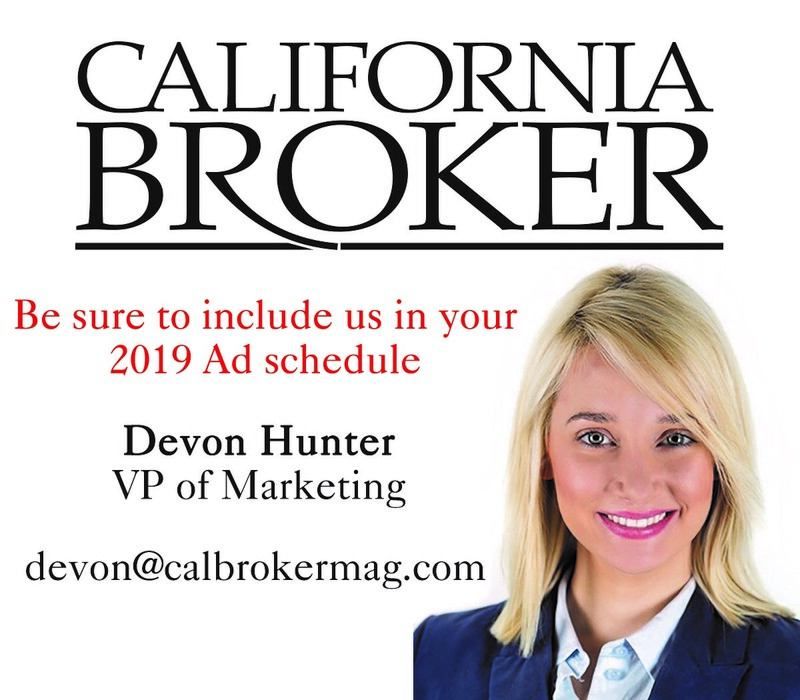 We will be posting the survey on our Website at www.calbrokermag.com. 1. Is an Approval Procedure required for Getting a Specialist Referral or a Diagnostic Test or Treatment In-Network or Out-of-Network? Aetna: There is a high-tech radiology pre-certification requirement for some customers. Anthem Blue Cross: It is not required for PPO plans, but the member ends up paying more if they go out-of-network without getting an out-of-network approval. Blue Shield: No, PPO plan members can generally self-refer to any doctor for care. They can choose to use in-network or out-of-network providers with claims reimbursement based on their benefit plan. Out-of-network services are usually subject to a higher deductible and co-payment amount. Cigna: No referrals or approvals are required since the PPO benefit plan is an open-access program. Customers are covered whether or not they get care from PPO network providers. Customers who use services from an in-network provider may have reduced co-payments and lower out-of-pocket costs. Health Net: There are no approval procedure requirements for visits to in-network or out-of-network specialists. A prior authorization list for diagnostic tests or treatments is included in the member’s evidence of coverage (EOC). Kaiser Permanente: No, the PPO plan does not require a referral to see a Specialist. Diagnostic tests are covered provided they are ordered by an insured’s doctor, are a covered benefit, and are deemed medically necessary. If a test or treatment is on the pre-certification list (e.g, MRIs and CT scans), it requires pre-certification. UnitedHealthcare: To strengthen the patient-physician relationship, primary physicians are not required to request an authorization when they refer a patient to a network specialist for an office visit. Primary physicians are very effective at ensuring that our enrolled individuals receive medically appropriate and necessary specialty care. In fact, practice pattern analysis shows that primary physician referrals to network specialists have been almost 100 percent effective and medically appropriate. 2. Are there any restrictions on getting second opinions from an in-network provider or an out-of-network provider? Aetna: A member, who has the option of an out-of-network benefit, may arrange their own second surgical opinion with a non-participating provider. Anthem Blue Cross: No, not for the PPO. Blue Shield: No, a member may get a second opinion from any in network or out-of-network provider. When an out-of-network provider is used, the member is responsible for any difference between Blue Shield’s payment and the billed amount. Cigna: There are no restrictions. The PPO is an open access plan, allowing customers to seek care in-network and out-of-network at any time. When accessing medical services, customers have the option to decide whether to use a network provider. By using a network provider, customers have lower out-of-pocket costs. Kaiser Permanente: Second medical opinions are covered. Coverage is limited to charges for physician consultation and any additional X-rays, laboratory tests, and other diagnostic studies. Benefits will not be payable for X-ray, laboratory tests, or diagnostic studies that are repetitive of those obtained as part of the original medical opinion and/or for which Kaiser Permanente Insurance Company (KPIC) has paid benefits. For benefits to be payable, the second medical opinion must be rendered by a physician who agrees not to treat the covered person’s diagnosed condition. The physician offering the second medical opinion may not be affiliated with the physician offering the original medical opinion. Health Net: Health Net members may see any in-network or out-of-network provider for a second opinion without obtaining a referral. Members are encouraged to call our Customer Contact Center with any questions regarding their benefits. UnitedHealthcare: A second opinion is not mandatory under our plans. Our UnitedHealthcare Options PPO product is open access. Members may seek second opinions from any participating or non-participating physician. The member’s benefit level will vary depending on the physician’s participation status. 3. Where are decisions made about specialist referrals, testing, treatment, surgery, and hospitalization? Aetna: Our patient-management staff is regionally located. The region is determined by the location of the customer. Anthem Blue Cross: Members may see specialists without referrals. Our Medical Management Department handles the review and approval for services that require pre-authorization. Blue Shield: Treatment decisions such as these are made between the patients and their doctors. In the case of surgery, hospitalization, or major diagnostic tests, Blue Shield’s prior authorization process is used to review the proposed treatment for medical necessity. Cigna: These decisions are made by a customer’s physician in conjunction with the customer. Cigna’s clinical programs, nurse case managers and health coaches can help individuals make decisions about their care. Cigna also offers award-winning online quality and cost information tools to help customers make informed choices. Some types of services require prior authorization by Cigna in order for the services to be covered under the individual’s plan. Customers can call Cigna Customer Service 24 hours a day, seven days a week with any questions about how their specific plan works. Health Net: Decisions regarding specialty referrals for testing, treatment, surgery or hospitalization are made with the member, the member’s physician and Health Net’s Care Management team. Members may also call Nurse24 SM, a nurse-driven telephonic support program that empowers participants to better manage their health. Nurse24 SM offers assistance to participants coping with chronic and acute illness, episodic or injury-related events and other health care issues. Highly trained registered nurses are available 24/7 to monitor and process health care inquiries that help participants make informed health care decisions. Kaiser Permanente: In most cases, the insured does not need a referral to see a specialist. Decisions regarding testing, treatment, surgery, and hospitalization are made by the insured and his or her physician. The insured is required to obtain pre-certification for any hospitalization or certain special procedures as defined in the insured’s Certificate of Insurance. Pre-certification to verify the medical necessity of a particular service or procedure ordered by a physician for an insured is performed by Permanente Advantage. UnitedHealthcare: The treating healthcare professional and the patient make decisions about providing specialist referrals, testing, treatment, surgery, and hospitalization. We determine whether such services are covered by referencing the member’s summary plan description. 4. Which complementary medical disciplines are covered under the PPO or will be covered under the PPO? Aetna: Members can get special rates on visits to acupuncturists, chiropractors, massage therapists, and nutritional counselors, which they pay directly to the participating provider. Participating providers and vendors in the alternative healthcare programs are solely responsible for their products and services. We have not credentialed or reviewed them. Members can save on over-the-counter vitamins and supplements, aromatherapy, foot care, and natural body-care products. Anthem Blue Cross: Physical therapy, occupational therapy, chiropractic care, speech therapy, DME, and acupressure/acupuncture. • All members in our fully insured PPO groups are covered by our disease and case management programs. • LifeMAP and Guided Imagery Program. • Our Wellness Assessment customizes referrals to lifestyle management programs. There are cash incentives to reward participation – available as a buy-up option. • CareTips for Physicians: This clinical messaging program sends patient-specific messages highlighting gaps in care to the member’s primary care physician. • LifeReferrals 24/7 to experts in financial planning, education, and law, along with personal consultations. It is included with all fully insured PPO plans and is available as a buy-up option for self-insured plans. • Self-funded groups may now purchase the Managed Behavioral Health buy-up package. This program is included with all fully insured PPO plans and is available as a buy-up option for self-insured plans. • All members can search our Health Library; sign up for Blue Shield condition management and wellness programs; and subscribe to the Health Update eNewsletter. Online decision making tools allow members to compare hospitals, explore treatment options for their condition, and learn more about prescription drugs. • Wellness Discount Programs on Weight Watchers, 24-Hour Fitness, Drugstore.com, and LASIK. • Chiropractic Network: Blue Shield has a directly contracted statewide network with more than 5,000 licensed chiropractors. • Blue Shield Centers of Expertise and Blue Distinction Centers: Members can find facilities and doctors that meet high-quality standards for transplant, cardiac, and bariatric surgeries within California. Cigna: This depends on the plan selected by the employer. Cigna also offers its Healthy Rewards discount program, which provides discounts for many types of complementary and alternative treatments. Health Net: Complementary medical disciplines vary by each employer contract. If an employer chooses to offer complementary medicine, Health Net’s program offers direct referral to chiropractic and acupuncture care. All Health Net members, whether HMO or PPO, can access Health Net’s Decision Powers Healthy Discounts program at www.healthnet.com. The Healthy Discounts program provides Health Net members with discounts when they receive selected complementary health care services from American Specialty Health Plans (ASHP) providers. The Healthy Discounts program offers direct access to chiropractors, acupuncturists and massage therapists. Members may find ASHP providers via www.healthnet.com or by calling (877) 335-2746. The member assumes liability for claims and is responsible to pay the provider directly on a cash-pay basis at a pre-negotiated fee schedule. Healthy Discounts provides Health Net members with discounts of up to 50 percent on a vast selection of vitamins, supplements and other health and wellness-related products. Healthy Discounts offers discount savings on these products through ASHP via www.choosehealthy.com. Members have direct access to products through www.choosehealthy.com for vitamins and minerals, herbal supplements, yoga, relaxation products, books and videos. The Healthy Discounts website also provides educational information on a wide range of complementary health care topics. Kaiser Permanente: The PPO plan does not currently offer coverage for any complementary and alternative medicine (CAM) services. The insured can, however, choose to purchase the chiropractic/acupuncture rider. The rider offers a variety of plans with different benefit maximums or visit limit. • Naturopathic medicine services (in states where naturopathic physicians are licensed). UnitedHealthcare also offers employers an optional acupuncture benefit. Finally, through UnitedHealth Wellness programs, we provide discounts on products and services for nutrition, weight-management, fitness, stress management, and other wellness products and services. 5. Describe your coverage for mammograms. Aetna: Mammograms are included in the clinical screening annually beginning at age 40. This is only part of physical exam benefit when the customer’s benefit plan does not include a separate benefit. Anthem Blue Cross: Once a year routine mammograms when ordered by a physician. No limit in frequency, meaning as medically necessary when ordered by a physician. Blue Shield: One annual mammography test is covered for screening and diagnostic purposes without illness or injury being present. Cigna: Mammograms are covered annually for women age 40 and over or more frequently and at younger ages when medically indicated. Health Net: Health Net’s preventive care and diagnostic procedures for adults (age 17 and older) are covered at a physician’s direction. When medically indicated, one mammography every calendar year for women. HMO members must obtain a referral from their primary care physicians to receive the preventative care service. Preventive care services for adults and for children include annual preventive physical examinations and preventive hearing and vision screening examinations. Preventive care services for adults also include immunizations, well-woman examinations, mammograms, cervical cancer screening tests, pelvic exams, breast exams, colorectal cancer screening and screening and diagnosis of prostate cancer. Preventive care is not covered if provided by an Out-of-Network Provider. • For women age 35 to 39, one baseline mammogram. • For women age 40 to 49, one mammogram every two years, or more frequently upon recommendation of a physician. • For women age 50 and older, one yearly mammogram. UnitedHealthcare: Options PPO provides coverage for mammograms as part of our standard outpatient surgery, diagnostic, and therapeutic services benefit. It is covered both as a preventive and diagnostic service. 6. Do you cover PSA tests for non-symptomatic men? If so, at what age? Aetna: Yes. If a state has specific legislation, we will pay it in accordance with the law. There is no age limit unless it’s being paid under a specific benefit (like the Trust benefit), which has a contractual limit. Anthem Blue Cross: Yes, at age 50 or when ordered by a physician. Blue Shield: Coverage includes, but is not limited to, prostate-specific antigen testing and digital rectal examinations, when medically necessary and consistent with good professional practice. There is no age limit for PSA testing when billed with a preventive-care diagnosis. Cigna: These tests are covered based on the treating physician’s recommendations. Health Net: Preventive care and diagnostic procedures for adults (age 17 and older) are covered at a physician’s direction. When medically indicated, screening and diagnosis of prostate cancer includes: tests and procedures for the screening and diagnosis of prostate cancer, including but not limited to, prostate-specific antigen testing and digital rectal examinations. HMO members must obtain a referral from their primary care physicians to receive the preventative care service. Kaiser Permanente: The following prostate-specific antigen (PSA) tests are covered as part of the adult preventive screenings benefits, which are available at age 18: screening and diagnosis of prostate cancer, including but not limited to PSA testing and digital rectal examination when medically necessary and consistent with good professional practice. This coverage does not cover the surgical and other procedures known as radical prostatectomy, external beam radiation therapy, radiation seed implants, or combined hormonal therapy. UnitedHealthcare: Network physicians are encouraged to follow the Guide to Clinical Preventive Services of the United States Preventive Services Task Force (USPSTF) as the basis for preventive care. We cover PSA tests regardless of age even though the USPSTF indicates this screening lacks clinical value. 7. Describe your drug formulary. (Three tier etc.) If it’s a closed formulary, what happens if a non-formulary drug is needed? Aetna: The formulary may be open or closed, depending on the benefit plan. In plans with an open formulary, both formulary and non-formulary drugs are generally covered subject to applicable limitations and conditions. With a closed formulary, formulary and non-formulary drugs are generally covered, except for drugs on the formulary exclusions list. Formulary exclusions provide less overall value than therapeutically equivalent formulary drugs. The member’s physician can request approval for coverage for a formulary exclusion. Anthem Blue Cross: We offer both open formulary and closed formulary benefit options. Non-formulary or non-preferred drugs are covered at the tier 3 copay level on an open formulary benefit. On a closed formulary benefit, non-formulary or non-preferred drugs are not covered unless nonformulary exception criteria are met. Blue Shield: The Blue Shield Drug Formulary is a list of preferred generic and brand name drugs that have been reviewed for safety, efficacy, and bio-equivalency, and are approved by the Federal Food and Drug Administration (FDA). This formulary is developed and maintained by the Blue Shield Pharmacy and Therapeutics (P&T) Committee, which meets on a quarterly basis. The P&T Committee consists of independently licensed physicians and pharmacists in community practice and who are not employed by Blue Shield. A drug prior authorization program is available for selected drugs on the formulary as well as for non-formulary drugs to promote appropriate first-line therapy or to reserve use of certain medications with specialized uses or significant potential for misuse or overuse. • An incentive formulary plan provides coverage for generic drugs, formulary brand-name drugs, and specialty drugs. Non-formulary drugs are also covered for a higher copayment. Prior authorization may be required to cover some specialty and certain non-formulary drugs. If coverage for a non-formulary drug requiring prior authorization is approved, the member is responsible for the non-formulary copayment. Cigna: We offer several kinds of formulary including open, closed, and tiered. Health Net: Health Net of California’s most common benefit structure is a three-tier open formula. 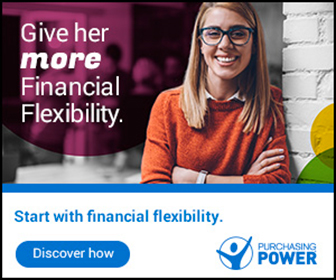 Tier 1 (lowest copay) includes most generic, Tier 2 (next higher copay) contains preferred brands and Tier 3 (highest copay) is comprised of non-preferred brands and generics. Kaiser Permanente: The PPO plan has an open formulary, which means most FDA-approved drugs, with the exception of those listed in the Optional Prescription Drug Exclusions and Limitations are covered for the insured. The insured pays a copay based on whether the drug is generic or brand. Self-injectable drugs are also covered at a coinsurance. UnitedHealthcare: Unlike a formulary, the prescription drug list does not imply any drug therapy recommendations. Rather, we assign prescription medications a co-payment tier based on an evaluation of clinical, economic, and pharmacoeconomic evidence. Unlike our competitors, some brand drugs are placed in Tier 1 and some generic drugs are placed in Tier 2 or Tier 3 based on the overall value (for example, the lowest net cost that they offer our clients). UnitedHealth Pharmaceutical Solutions (UHPS) offers a three-tier plan and an open benefit design. Tier 1 drugs represent the lowest co-payment option and include many generic drugs. Tier 2 drugs represent a middle co-payment option and include many brand name drugs. Tier 3 drugs represent the most costly drugs, often with Tier 1 or Tier 2 alternatives, and have the highest co-pay option. A drug’s tier placement is subject to change when its value changes as a result of a patent expiration, new product introduction, or other important clinical, safety, or economic information. When a generic drug is more costly than the brand drug, UHPS may place the generic in Tier 2 and move the generic to Tier 1 once the price decreases. A visit to a wine-tasting event or a trip to the grocery store to pick up wine for dinner can be an overwhelming experience. There are hundreds of choices, making it difficult to decipher differences quickly. Currently, there are more than 75,000 different types of wine produced around the world, with many similarities in wine types and tastes. In the commerce world, wine is considered a commodity, a basic good that is interchangeable with other products of the same type. Although the quality of a given commodity may differ slightly, there is uniformity across the marketplace. Dental professionals focus on the oral health needs of people of all ages, from infants to seniors. They provide care for a range of dental and health issues in each lifespan, including the growth of baby teeth, adult tooth structures and mouth tissue during the initial 15 years of life that lay the foundation for healthy teeth and gums for life, as well as for tooth restorations, crowns, extractions and dentures. There are more than 600 species of germs that live in the mouth. While most germs are harmless, there are several types of bacteria that create oral health problems, attacking tooth enamel and causing decay and periodontal disease. Although many people have similar oral health problems, each person’s care needs are unique and require treatment by knowledgeable dental health professionals. And dental professionals invest considerable time educating patients on how to take care of their mouths to prevent serious problems in the future. The mouth is a reference point for many serious medical concerns. During checkups and cleaning appointments, dental professionals can identify signs of many potential problems, such as cancer, high blood pressure, hypertension and diabetes, and refer patients to their medical doctor for further evaluation. Catching these serious medical problems at an early stage may help avoid more expensive treatment down the road. Currently there are more than 195,000 professionally active dentists serving more than 300 million Americans. While patients often require similar procedures, such as cleanings, tooth restorations, crowns, root canals, bridges or extractions, each patient’s needs are unique. Dental professionals are trained to develop a treatment plan that addresses each individual’s special needs. For complex dental problems, many dentists partner with oral health specialists to ensure patients receive proper treatment and a continuum of care. Many insurance companies offer dental coverage, but few have the expertise to design plans tailored to meet specific customer needs. There are several key components for effective dental benefits, including excellent customer service, extensive network of dentists and organized administrative systems to support the plans. Most people enroll in dental coverage because they want to take care of their needs or those of their family members. Although dental is not catastrophic, it is a benefit that individuals use regularly to maintain good oral health. For many people, switching dental plans is a traumatic experience. They want to continue to receive dental care from their favorite team of professionals. Sometimes individuals move and need to find a dentist they trust. In those situations it is important for the dental carrier to have an extensive network of qualified providers to ensure individuals have access to dental caregivers, with many in close proximity to their work or home. With dental insurance, there are many claims processed throughout the year. Some carriers run the claims on their medical systems, which can lead to problems, increase the amount of time for processing and cause possible member dissatisfaction. Over 98% of employer dental plans in the United States are sold as stand-alone plans, meaning they are not integrated into the medical plan. In today’s world, businesses make changes randomly throughout the year, such as downsizing or undergoing mergers or acquisitions, decisions that may require modifications to benefit plans. Unfortunately, not all dental carriers are able to make these adjustments. This range of complex business directions makes it imperative to partner with a carrier that can respond quickly to customers’ needs. And as the Affordable Care Act is implemented, it also is important to have a partnership with a dental carrier that thoroughly understands the regulations and can provide directions on coverage and educate individuals on plan choices. Other key qualities of specialized dental carriers: excellent reputation with other employers, extensive experience in working with employer groups of similar size to that of your clients, and persistence and pricing for consistent premiums. Dental care and dental insurance are valuable health care services that are tailored to each patient’s needs. Dental professionals receive extensive training to ensure the care they provide will meet dental standards. While patients receive similar services — checkups, tooth restoration, crowns or root canals — each one receives the treatment option(s) that best address their special dental needs. And dental carriers that are experts in dental care can design plans that are customized to the needs of individuals or the employer group. Karen M. Gustin, LLIF, is senior VP — group field sales, national accounts and broker blocks for Ameritas Group. She joined Ameritas Group in 1983. Gustin is past chair of the National Association of Dental Plans board of directors and serves on the board of the National Association of Vision Care Plans. She can be reached at kgustin@ameritas.com or 800-543-7784 ext 82507 or 402-309-2507. For updates on health care reform, visit ameritasgroup.com/about/4859.asp. Nearly 150 vision plan reps, brokers, and HR managers attended the sixth annual managed vision care track at Transitions Academy in Orlando January 27 to January 30. A central message from the event is that vision plans are more relevant than ever, post health reform, because they help employers control healthcare costs and continue to provide a high value to enhance an overall benefit package for employees. Presenters explained how vision exams can catch a host of diseases early before they become costly chronic conditions. Eye exams not only reveal the first signs of devastating eye diseases like macular degeneration, but they can also reveal a host of other serious diseases like diabetes and cancer. Also, at a time when many are switching to high deductible health plans, employers can add voluntary vision benefits to boost morale without adding costs to the benefit package. Smith Wyckoff of Transitions Optical has talked to many HR professionals who say they have reaffirmed their commitment to quality benefits, including vision. He stressed that it’s a critical time to show employees the value that a quality vision benefit provides them, especially with the increase in employee cost-sharing and the link between quality benefits and employee loyalty. 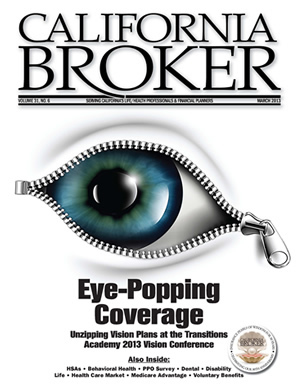 • Brokers need to do a lot of research on the employer before the vision benefit presentation. It’s essential to understand the employee group because you will need to know which plan features will appeal to certain workers. For example, a truck driver who deals with glare from the sun may need different lens options than would an office worker who gets eye fatigue from staring at a computer monitor. And, of course, older workers have specific vision plan needs. • To entice more employees to enroll in vision benefits, offer a dual-option plan with a higher benefit tier for employees who need glasses and a lower tier for those who may only need preventive care. Employers may think that not all employees need the higher-tier coverage and appreciate being able to offer options to still promote preventative care. Surprisingly, more employees than expected still select the higher tier coverage, because they see the value in the inclusion of premium lens options. • You will get more participation if you present a plan that offers quality lenswear options. For example, employees may want options, such as scratch-resistant or UV-blocking lenses for themselves or their children. • A vision plan should offer a wide frame selection. You don’t want to restrict the women to the Dame Edna style frames or limit the men to a Buddy Holly look. • Employees need to understand what they are getting with the vision plan so they don’t feel they are experiencing the bait and switch routine. • You may want to consider making the vision plan presentation before the health plan presentation to help get employees’ attention. • Make sure that people are actually using their benefits. For example, all eligible dependents should be taking advantage of the plan. Conduct employee eye health education during open enrollment and throughout the year to motivate more employees to use their vision benefits instead of letting them go to waste. While nearly 80% of employees surveyed by Transitions Optical were enrolled in a vision plan, 36% did not use the plan to get an eye exam. • You need to educate the CEO and CFO on the importance of vision benefits. It is difficult to say, “If you put this much money into the program, you will get this much out of it.” Remember that providing vision benefits can be about creating a healthy environment for employees and reducing health care claims costs. • Panelists also stressed the importance of communicating with employees about eye health and vision benefits on a regular basis. This could involve everything from hosting a lunch and learn, to using a traditional payroll stuffer, to sending an e-mail blast or using other electronic media. Remember that different employees respond to different kinds of communications. Another tip is to keep educational events simple and fun. Selling insurance can get mundane, so look for ways to make the presentation entertaining and enjoyable. • 70% – UV eye exposure. • 66% – high blood pressure. • 66% – poor nutrition. • 64% – lack of sleep. • 60% –use of medications and 23% use of herbal supplements or vitamins. • 39% – high cholesterol. • 35% – being over- or underweight. • 24% – race or ethnicity. • 22% – mental health issues. At the same time, many employees stated incorrectly that spending too much time in front of a computer (70%) or watching TV (48%) could affect their eye health. While these activities can lead to headaches, eyestrain, and fatigue, they are not believed to cause permanent, long-term damage to the eyes. Ophthalmologist Vincent Young explained how smoking, obesity, poor nutrition, medications, lack of sleep, and other lifestyle factors can affect vision. Young noted that smoking has been linked to vision loss and even blindness. When employees were asked to name side effects of smoking, most said it could lead to cancer, heart disease, stroke, and death. But far fewer understood the eye health consequences. In fact, the most commonly understood eye health risk of smoking was eye irritation. About three in four employees did not know that smoking could lead to glaucoma, macular degeneration, cataracts, vision loss, and blindness. When asked which diseases could be identified through an eye exam, the most common response was “none of the above,” reinforcing the need for education to help motivate employees to get eye exams. With an eye exam, many diseases can be detected when there is still time to avoid the manifestation of the disease or minimize its effect. While the majority of employees understand that diabetes and hypertension can cause eye health issues, only a third or less are aware that these diseases can be diagnosed through an eye exam. Very few employees are aware that an eye exam can help detect high cholesterol (11%); Alzheimer’s disease (6%); and other mental disorders, such as manic depression and bipolar disorder (3%). The good news is that employees are likely to act when they have the right information. Nearly 85% of employees say they would take steps to quit smoking if they knew it could hurt their eye health. However, many employers are not educating workers about the value of their vision benefits. In fact, just 16% of workers say their employers have provided eye health information or education and only 25% say their vision plan providers have provided this information. Twenty percent of employees say they have not received any eye health education at all. Glaub customizes his selling approach by showing HR clients why quality vision is important to their geographic area or industry. For example, he points out that dental professionals need properly corrected vision to work on patients’ teeth. He also emphasizes how regular eye care can play a key role in the early detection of costly diseases, such as diabetes. To drive employee enrollment and the use of eye exams, he offers two tiers of coverage for frequent eyeglass purchasers as well as contact- or non-wearers. The higher tier includes coverage of premium eyewear products like Transitions lenses, which means that employees get higher performing eyewear without paying additional out-of-pocket costs. Glaub emphasizes that every employee should at least enroll in the lower tier to reap health benefits and cost savings through regular, preventative eye care. Glaub kicks off enrollment meetings by talking about vision and dental benefits. He wears his Transitions lenses to get employees’ attention about the quality eyewear products available through their plan. He also discusses the importance of eye exams for disease detection and cost savings. A big believer in personalized service, Glaub gives employees several days to absorb their benefit options before returning to answer questions and conduct one-on-one enrollment meetings. This year, he plans to spend a half day with each client, every month to provide further employee education on their benefits and answer follow-up questions. Award finalist, Todd Hester says that every group he signs with a vision plan has a minimum 75% enrollment, with high re-enrollment and eye exam utilization rates. He is account executive of Neace Lukens in Bowling Green, Ky. Hester uses a unique approach with his HR clients: He begins discussing the preventive aspect of medical benefits, which leads into a discussion about preventive vision care. He emphasizes the potential effects of UV-related eye diseases and eye injuries and how a quality vision benefit can help reduce worker’s compensation claims, disability, and absenteeism. He also gets feedback on which benefits matter most to employees, which usually reveals that there is a high demand for a quality vision plan. Hester uses premium vision benefits as a differentiator with his clients and their employees. Finalist, Mark Lambert, promotes vision benefits as part of his preventative wellness approach with clients. He explains how comprehensive eye care can lower employers’ medical claims through the detection of costly conditions like diabetes and high cholesterol. As a senior business advisor with Conner Insurance in Indianapolis, he works with employers to create incentives and effective communication strategies so that employees are more likely to understand and use their vision benefits. He communicates with employees throughout the year. He also works with his vision plan to provide marketing materials that educate employees on the advantages and affordability of eyewear products available through their plan, including popular name-brand products. It’s clear that vision care benefits are much valued, but much misunderstood, which creates an important opportunity for brokers to fill the gap. For more information about getting nominated for the Transitions Vision Benefits Broker of the Year award or to get free educational resources, visit HealthySightWorkingForYou.org. The popularity of voluntary benefits and the concern over financial security are driving the market for voluntary guaranteed issue disability (GLTD) insurance. In a challenging economy, workers want more control over the spending of their hard-earned participation dollars. Many have also witnessed the tragic consequences of financial insecurity. Herein lies an opportunity for employers to bolster morale, attract talent, and help employees. It is also an opportunity for insurance advisors to expand their business. Most producers recognize the potential to place a traditional group disability plan, but many are unaware of the opportunity to place supplemental coverage with the same group. Doing some research on a prospect to see if there is the possibility of placing a supplemental multi-life disability plan can lead to a big pay day. The Internet is a handy tool for accomplishing this task. Say you get a warm lead on a physician who is seeking disability insurance. You find out that this doctor is a partner of a firm with five other doctors. Now you have the chance to approach the firm with a guaranteed issue disability insurance plan that offers premium discounts and no medical underwriting. You could receive six new clients instead of one and get more commission. Even if a firm already has group LTD, many employees are probably interested in getting more comprehensive disability coverage. For example, high-income earners will need supplemental disability coverage. Ninety-percent of employees value their ability to earn an income above all other financial resources, according to a 2010 study by the Council for Disability. Seventy-eight percent of wage earners say they would be devastated by a disability, yet only 10% purchased insurance to protect them from the situation, according to a 2009 study by Northwestern Mutual. •The policies are not typically portable and employees are not in control of the policy. •The employer or carrier can cancel coverage at any time. Benefit amounts are calculated without considering many types of income, such as bonuses, commissions, and stock options. •Benefits of employer paid plans are taxable. •Benefit and participation limits are commonly modest and do not protect employees’ incomes sufficiently. •Benefits typically coordinate with federal or state disability benefits, and often with worker’s compensation benefits, which are further reductions in the anticipated income replacement for the insured. GLTD is certainly a fine thing for employees to have, but it is easy to see how a non-traditional high-limit guaranteed issue disability plan would be an incentive for employees. •Traditional disability plans issued on a guaranteed basis to an employment group are likely to have a $5,000 to $10,000 maximum benefit. •The maximum issue limit for most traditional, fully underwritten, individual disability insurance plans is $15,000 to $20,000 per month and is sometimes less. The need for a third tier of income protection is clear. High-limit guaranteed standard issue (GSI) disability insurance plans supplement GLTD plans by layering coverage in order to adequately protect a worker’s income. GLTD plans may cover 60% to 66% of income, but that’s up to a certain cap of $5,000, $10,000, or perhaps $20,000 per month. Anyone who earns more than that on a monthly (after tax) basis would be underinsured. No less than 65% of income replacement coverage is considered adequate by professional standards. Some traditional carriers offer supplemental, individual coverage. But, until 65% of an employee’s income is insured, further sources of insurance are needed. It is important to realize that, if you only place base GLTD coverage without fully explaining the potential pitfalls, you may be doing a great disservice to your client while missing a significant sales opportunity. When traditional carriers will not offer any coverage, these plans can be used as primary coverage. Unusual income reporting, high net-worth, hazardous employments, sub-standard risks and unique associations are often deal-breakers for traditional carriers, but the non-traditional disability insurance market takes them in stride. Benefits can reach as high as $250,000 per month, covering salary and non-salary income to fully insure a wage earner. The essential idea to remember is that the usual roadblocks that traditional plans run into are generally not issues with non-traditional high-limit GSI. Portability is a concern with GLTD. Conversion options are sometimes included, but the benefit is likely to be sizably decreased and the premium will be increased to the level of being individually rated. It’s important for a worker to be able to take their disability policy along with them when they leave an employer. In today’s business world, it’s rare for workers to spend their entire careers with one company. When it comes to income protection, one disability insurance product can’t do it all. So, when you keep all of the income protection tools in your toolbox, you will be able to serve your clients better. Ryan Petersen is a team member in the marketing department at Petersen International Underwriters. The firm is a Lloyd’s Coverholder of 30 years that specializes in High-Limit Disability, Life, International Medical and Contingency Insurance lines. Ryan may be contacted at 800-345-8816 or ryan@piu.org. More information can be obtained at www.piu.org. The year 2013 could be very good for consumer directed health plans (CDHPs). In fact, many signs point to growth over the next few years. Employers are likely to migrate into CDHPs as brokers across the country report double-digit rate increases. Growth may be concentrated in the mid- and large-group markets in 2014 if smaller employers default to the exchanges. PPOs are the number one health plan choice in the United States; CDHPs are number two; and HMOs are number three, which marks a significant change over time. CDHPs got a last minute push, in 2012, as employers responded to rate increases. CDHPs have doubled in number over the past three years. Seventeen percent of workers were enrolled in a CDHP in 2011; up from 8% in 2008, according to the Dept. of Health and Human Services. Enrollment increased 23% year-over-year, which equates to 5.3 million enrollees since 2008. In addition, some banks that offer HSAs doubled their total accounts in 2012. Assets in HSAs are rising along with the percentage of HSA assets as investments. Private exchanges may be a significant source of growth in CDHPs as employers and employees leverage the technology of the open marketplace. When defined contribution is used, online purchasing will become more acceptable to employers and employees. A user-friendly online experience will draw both employers and employees if it can simplify complex decision-making. Several large companies, such as JetBlue, IBM, and Caterpillar, have contributed healthy behavior incentive payments to their employees’ HSAs or HRAs. Eighty percent of companies planned to use incentives in this fashion in 2012, according to a recent Towers Watson study. Many companies are considering the ROI of tying incentives to healthy behavior programs. Millions of dollars may be saved when employees become savvy healthcare consumers since they are spending their own money in HSAs and HRAs. The healthcare industry is changing dramatically as ACA final regulations are being hammered out, but the threat of the Patient Protection and Affordable Care Act (PPACA) and the Exchange option seem to be behind us as it relates to CDHPs and health savings accounts (HSAs). Chris Bettner serves as executive vice president of Business Development for Sterling Health Services Administration (www.sterlinghsa.com). With over 30 years of experience in healthcare sales and management with health insurance carriers, she was a co-founder of the company in 2004. Prior to joining Sterling, Chris was Vice President of Sales for Blue Shield of California. She held similar positions at Lifeguard, FHP, Independence Blue Cross and MetLife. Chris is also a national spokesperson on HSAs and consumer directed healthcare programs. A major challenge for life insurance policy owners is the lack of funding in many flexible premium life insurance contracts. This can happen when the owner hasn’t paid the premiums they had intended when they purchased the policy, or the policy’s investment performance has fallen behind what was anticipated at issue. Unless some additional funding is brought to bear, the insurance coverage might be in danger of lapsing just when it is needed the most. After confirming that the coverage is still needed, the next challenge is to convince the client to pay additional premiums into the policy. They may be hesitant if the policy has not performed up to their expectations. When your client looks at the yield that they can get on other investments, they may have a hard time seeing why putting more money into their life policy is a wise use of funds and this is without even knowing how that additional funding will perform as an investment. This is where the concept of internal rate of return (IRR) comes into play. Let’s consider an example. You’ve recently acquired a new client. Twelve years ago, Charlie bought a flexible-premium policy at age 53. It provides a $350,000 level death benefit. At that time, he was classified as a standard nonsmoker. Based on an assumed crediting rate of 5.75%, the advisor recommended funding the policy with 12 annual premium payments of $12,200. Charlie expected this to keep the policy in force until age 100 with minimal cash value at that time. It sounded like a good plan and appealed to him because no premiums would be required after his planned retirement at age 65. By the time you are asked to review Charlie’s policy, he is now 65 and about to retire. Charlie paid all the premiums that he was expected to pay, but the credited interest rate has declined over the past 12 years to 4%, causing the current account value to be $9,000 less than was originally projected. What’s more problematic is that, projecting at the current 4% rate into the future, the policy will expire when Charlie is age 85. It is easy to understand why Charlie is reluctant to make such a lump sum payment under those circumstances. What quantitative data can you give Charlie to help him in his decision-making process? My recommendation is to consider the $51,500 additional deposit in the same way you would any other investment – by calculating the IRR that will be earned on it. You many not be used to this kind of IRR calculation since most other investments offer a well-defined cash flow in return for the initial investment. But if Charlie makes this additional $51,500 premium payment all he will get is continued death benefit coverage from age 85 to age 100 – a “contingent” cash flow. The trick is finding how to put a value on that. Charlie’s $51,500 investment will generate no actual return if he dies before 85. But, if he dies between 85 and 99, his additional investment will generate a $350,000 return in the year of his death, but what are his chances of dying between 85 and 100? We need a reasonable estimate of Charlie’s future mortality experience to value those death benefits. One way is to have a consulting actuary perform a current mortality assessment. This requires getting updated information about Charlie’s medical condition, occupation (if any), avocations, and lifestyle. The actuary can make appropriate modifications to published mortality tables by using this information and referring to available research on mortality. The modified tables can be used to calculate Charlie’s expected death benefit cash flows from age 85 through 99. Let’s assume that we have no updated information about Charlie’s health or other factors. Since he was underwritten as a standard nonsmoker 12 years ago, we can use Society of Actuaries’ experience mortality tables for a person in that underwriting class. Rates for lives that have been medically underwritten vary by age and policy duration. We have entered rates for Charlie’s situation, starting with age 65, policy duration 13. The expected value of the IRR that results from this mortality assumption is 5.24%. That’s not a bad return. Considering that it is provided by life insurance proceeds, it is not subject to income tax. Assuming a marginal tax rate of 39.6%, this is equivalent to earning 8.675% on a taxable investment! This information might make Charlie feel a bit more comfortable about adding the required funding to his policy. • Charlie has a 56% chance of surviving to age 85. This shows why it’s important to pay this supplemental premium because he is more likely to die after age 85. • Charlie has a 2.7% chance of living to 100. He will need to pay more than $51,500 if he wants to keep his death benefit in force beyond that point. • Looking at all the possible outcomes of Charlie dying between ages 85 and 99, the actual IRR will range from a high of 10.06% if Charlie dies at age 85, to a low of 5.80% if he dies at age 99. It is important to note that it’s possible to perform this type of analysis on any flexible-premium product, such as universal life, variable UL, or indexed UL, with either first-to-die or second-to-die coverage. Now, let’s look at a different scenario. Suppose Charlie was recently underwritten for a new life insurance policy and classified as a standard nonsmoker once again. We can expect Charlie’s mortality to be lower since this information is based on a recent medical exam. He is now a “newly select” risk. We have entered the appropriate rates for this situation and calculated an IRR of 5.69% (again, this is income tax free). It may seem counterintuitive. After all, why would lower mortality rates generate a higher expected cash flow from death benefits beyond age 85? The answer lies in the effect of underwriting on the pattern of mortality by policy duration. Experience has shown that the effect of mortality selection tends to wear off over time, becoming negligible after 20 to 25 years. Now let’s suppose that the only change since Charlie bought his policy 12 years ago, is that he has gained a lot of weight. At six feet tall, he now weighs 258 pounds, giving him a body mass index of 35, which is considered obese. Studies have shown that, with this level of obesity, Charlie’s mortality rate is 60% higher than normal. Further, this effect does not tend to wear off over time unless he actually loses the weight. The resulting income tax free IRR is 4.16%. Once again, it seems counterintuitive. Why would the IRR be lower if Charlie’s health has deteriorated? This happens because the elevated mortality after age 85 is more than offset by the smaller chance that Charlie will actually survive to those higher ages. These examples show that it is very difficult to tell how that incremental investment may perform without calculating the IRR. These are just a few examples. As you can imagine, there are many other situations in which calculating an IRR based on a current mortality assessment can provide valuable guidance for life insurance policy options. You might even want to consider incorporating a current mortality assessment as part of an in-depth client review every five years or so. 1. This kind of mortality estimating is very complicated business. For simplicity, I took some shortcuts in these examples. For example, I have not built in future mortality improvements. Most actuaries recommend using estimated future mortality improvements in these types of calculations. 2. It may take a fair amount of work to tailor mortality estimates to your client. It depends largely on the complexity of each case and the thoroughness of the process you follow. Some people are willing to have full medical workups, but most only want an assessment based on the most recent and readily available information. You should discuss the estimated cost with your consulting actuary before having them start work. This will ensure that the cost isn’t excessive, taking into consideration the size of the particular policy. 3. Most life insurance policies have non-guaranteed policy elements – typically the current investment performance, mortality charges, and even expense charges have guarantees that are different than what are currently being used or illustrated. Before beginning an IRR analysis, it is most important for the advisor to get in-force policy illustrations based on realistic or conservative assumptions about these non-guaranteed elements. So, the next time you are called upon to assist a client with an existing life insurance policy, consider looking at it through the IRR lens. You may be surprised at what you see. William L. Hezzelwood is a Fellow of the Society of Actuaries and a Member of the American Academy of Actuaries. In his 40-year career with Pacific Life Insurance Company he served in a range of increasingly responsible assignments including life insurance product development, financial reporting, regulatory compliance, information technology, and project and program management. More recently he has established an independent actuarial consulting firm called Actuarial Analytics (www.actuarialanalytics.com) where he applies his expertise in life insurance to provide technical support to attorneys, financial planners and life insurance professionals. If you want more technical detail, feel free to email the author at bill@actuarialanalytics.com for a copy of related spreadsheets for the examples presented in this article. At LISI’s recent 2013 THINK event in Los Angeles, industry leaders gave candid and sometimes surprising insights about what brokers can expect in the health insurance market. The event drew about 300 insurance professionals while another 300 to 400 viewed it live online. Micah Weinberg, senior policy advisor for the Bay Area Council, said to expect many large- and mid-size employers to move certain populations into exchanges, such as part-time workers. “One of the big takeaways for me is that brokers should get certified to sell through the exchange.” He noted that brokers will be talking to more people who have been uninsured but are now ready to get coverage. Subsidies for purchasing insurance through the exchange will not be just for low-income families. In fact, a family of four with a household income of up to $92,000 a year will qualify for a subsidy to purchase health insurance, but the subsidy will be much lower than what a low-income family would get. Weinberg said that, in 2014, premiums will go up substantially for many people and go down substantially for others, such as those who get generous subsidies to purchase coverage through the exchange. Among those who will benefit most from health reform are people with incomes that are just above the limit to qualify for Medicaid. In addition, some premiums will go down because of the elimination of medical underwriting. Lebherz said that many more people will become insured because of the ACA. Katz said there is more in the Accountable Care Act (ACA) that addresses healthcare costs than people would believe. But most objective people would say that there is not enough to earn it the title of the “Affordable” Care Act. Lebherz said the ACA offers no real control over the cost of care. As for unintended consequences, Morgan said that, when the rates are available in 2014 market, there will be a 20% to 40% cost increase. Expect the public and legislators to react. “There will be an Affordable Care Act Part II, which will get into a much more regulatory invasive approach. We are seeing that in Massachusetts,” Morgan said. Weinberg noted that Massachusetts is looking at regulating the rates that providers charge. Weinberg explained how the exchanges will evolve. There will be an individual exchange and a small-group exchange. The small-group exchange will be open for the first couple of years for businesses with up to 50 employees. Starting in 2015, it will open to businesses with up to 100 employees. “In 2017, we have the ability, as a state, to say that it will be open to businesses of any size,” he explained. He noted that there will be generous subsidies to purchase coverage through the individual exchange. Weinberg said not to expect dramatic changes overnight. “The small business tax credits are only generous for low-income workers. Those workers will get really generous subsidies to go into the exchange. Beyond that, this is going to happen slowly. You are not going to have people standing outside your offices in October clamoring for new coverage. There are 600,000 individuals with coverage who will be eligible for subsidies. So just moving those people to the appropriate coverage will be a huge challenge,” he explained. Morgan noted that, when selling though the exchange, agents will be compensated by the health plan or by a pass through from the exchange. The health plan/agent relationship will continue to exist. He expects some overlap between brokers and Exchange navigators, but they will generally be serving different populations. The navigators are new entities that will paid by the exchange. Navigators will operate similar to the way MediCal or Healthy Families enrollers work to bring coverage to low-income people. Weinberg said that navigators will get a one-time fee instead of a commission for enrolling people. Also, they will work almost exclusively on the individual side. A big issue is whether retail stores will get into the act of having navigators sign up low-income people for insurance. “If you are competing with a community-based organization, there is no worry, but if Wal Mart and Walgreens get involved in enrolling people in insurance, those are competitors that you might want pay attention to,” he added. Weinberg got hearty applause when he said that it’s not enrollment that takes the most time for brokers; it’s serving the clients’ needs and solving their problems. 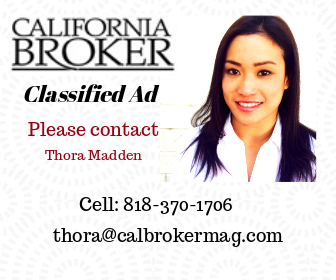 “I worry about the service that a broker can provide on a 5% commission. We are hiring 850 workers to staff the exchange call center. Hopefully, because we have done all this healthcare reform, it will be easier to get the insurance companies on the line, but I don’t know that it is going to be easier, particularly in a narrow network world.” “I would agree,” Morgan said. Lebherz said that consumers who are getting a substantial credit to purchase health insurance will not choose an HSA plan. It will be for the people making at least $90,000. Weinberg noted, “They weren’t even going to have HSA plans in the exchange until folks pitched a fit.” However, he stressed that there is a lot of consumer cost sharing in the ACA. “It is not like there is free healthcare for everyone. You need to moderate expectations for people.” Morgan noted that the benefits in the exchange are pretty rich compared to what you are used to selling on the individual market. What worries Morgan is a ballot initiative that would give sole rating authority, retroactively, to the insurance commissioner, who is an elected official, not an actuary. Lebherz expects consolidation in the market. “Maybe brokers will come together through a service that makes your cost of doing business lower,” he said. Panelists stressed the importance of joining California Health Underwriters to stay involved in what is happening in the market. Katz said, “It is such a small percentage of people who make their living through health insurance who pay their dues. When I say that you are going to survive, I don’t mean all of you are going to survive. Those of you who have a one-size-fits-all solution for your clients and those of you who simply spreadsheet will be replaced by a navigator or by a broker who is staying current.” Lebherz said, “We need to pay attention to things…We don’t want the state to suddenly say, ‘We don’t have money so we are not paying commissions anymore to enroll in the exchange.’” Morgan said, “The exchange is a very transparent entity. They want input.” To view a recording of the event or attend other Webinars, visit LISI at www.lisibroker.com. Also, for a great Q&A about health reform, visit www.cahba.com. For its report, KFF reviewed government reports as well as recent debt reduction proposals and interviewed dozens of Medicare policy experts. The report looks at the following options to save money in Medicare Advantage plans. The new benchmarks will be phased in between 2011 and 2017. The phase in period varies by county. One option is to phase in new benchmarks from 2011 to 2015 rather than from 2011 to 2017. Under Medicare Advantage, plans submit bids based on estimated costs per enrollee for Medicare Parts A and B services. CMS compares the bids to benchmark amounts. (A benchmark is the maximum Medicare will pay a plan in a given area). If a plan bids is higher than the benchmark, enrollees pay the difference in the form of a monthly premium. That’s in addition to the Medicare Part B premium. If the bid is lower, plans get a rebate, which varies by the plan’s quality rating. Plans must use the rebate to provide supplemental benefits to enrollees. Since January 2012, plans with higher quality ratings have gotten bonus payments and a larger rebate than did plans with lower quality ratings. However, statistics have shown that Medicare Advantage plans were being paid, on average, more than traditional Medicare in their areas. So the ACA reduced the benchmarks, tying them to the costs of traditional Medicare in the county, ranging from 95% in high-cost counties to 115% in low-cost counties. As a result, any changes in the costs of traditional Medicare, such as reductions in payments to providers, directly affect payments to Medicare Advantage plans. Opponents say that with a faster phase-in period, plans may not have enough time to adjust their care delivery models and business strategies in counties with the largest changes in benchmarks. Opponents of many of these proposals say that they may cause Medicare Advantage plans to raise premiums, limit the benefits, or withdraw from effected counties or from the program entirely. The benchmark for each county would be equal to the projected local per capita spending for traditional Medicare. The reduction in payments to counties with the lowest traditional Medicare costs would be offset higher payments to counties with the highest traditional Medicare costs. Since the new ACA benchmarks are projected to be equal to the costs of traditional Medicare, on average, the actual Federal savings from this option would be small, if any, according to KFF. Proponents argue that the Medicare program should be neutral as to whether beneficiaries decide to enroll in Medicare Advantage plans or traditional Medicare. The benchmarks would be equal to the projected local per capita spending for traditional Medicare. Benchmarks would be reduced for counties in the third highest and bottom quartiles of traditional Medicare costs. There would be no change to benchmarks for counties in the top and second highest quartile. Some say that this option would promote efficiency in the Medicare Advantage market while reducing Medicare spending. Proponents also say that this option could help to counter some research indicating that plans are selectively enrolling healthier enrollees. Under this option, benchmarks would be based solely on the average plan bid in each county. Each plan’s bid would be weighted by its enrollment in the previous year. The benchmarks could not be greater than the benchmarks under current law. Beneficiaries enrolled in a Medicare Advantage plan with a bid that’s higher than the benchmark would pay an additional premium. Those enrolled in a plan with a bid that’s lower than the benchmark would get supplemental benefits equal to the difference between the plan bid and the benchmark. Traditional Medicare would not be a bidding plan under this option. Under current law, beneficiaries who are enrolled in a plan with a bid lower than the benchmark get supplemental benefits equal to 75% of the difference between the plan bid and the benchmark. Most plans provide some supplemental benefits. Under this option, only the plans with bids lower than the average bid in the county could provide supplemental benefits. Beneficiaries who enrolled in those plans would get supplemental benefits equal to 100% of the difference between the plan bid and the benchmark, which gives them a stronger incentive to enroll in the plans with the lowest bids. In 2008, the Congressional Budget Office estimated that establishing benchmarks through competitive bidding would reduce Federal spending $158 billion over 10 years (2010 to 2019). However, since this estimate was produced before the ACA, actual savings would be smaller. Proponents say this option could encourage plans to get bigger discounts from providers, provide supplemental benefits, and manage care more efficiently. Opponents say it would reinforce an uneven playing field between private plans and traditional Medicare. They say it would favor traditional Medicare, especially in high-cost areas, by not requiring it to compete with private plans and improve its efficiency. For example, plans with bids above the benchmark would have to charge beneficiaries an additional premium, even if the bid was lower than the average per capita costs of traditional Medicare in the county. That would give beneficiaries a financial incentive to enroll in traditional Medicare or in a lower cost private plan. Over time, it could lead some higher-cost plans to withdraw from the Medicare Advantage program, thereby reducing the number of private plans available to beneficiaries. Demonstrations of competitive bidding among Medicare private plans have not been fully implemented in the past due to objections to traditional Medicare not being included as a plan bid and general opposition among stakeholders. Future attempts to implement competitive bidding in Medicare Advantage could encounter these issues as well, or different concerns may arise in a different environment. A similar option that included traditional Medicare as a plan bid would closely resemble an option for a premium support system. Under this option, CMS would use two years of historical medical claims data, rather than one year to adjust payments to Medicare Advantage plans. It would also include the number of medical conditions to adjust the payments to Medicare Advantage plans for each enrollee’s demographics and health history. Medicare adjusts payments to Medicare Advantage plans based on each enrollee’s expected costs and health risks. The system compensates plans for enrolling sicker and more costly people and avoids overpaying plans that enroll people who are healthier than average. Some studies suggest that the current risk adjustment system may not be adequate since plans may be selecting against sicker beneficiaries, particularly within categories of diagnoses. Studies have also suggested that the differences in payments between Medicare Advantage plans and traditional Medicare may have actually increased after risk adjustment and led to an 8% increase in total Medicare spending. KFF says that these findings suggest the need to review the current risk adjustment methodology or consider a payment approach to reduce the impact of favorable selection, such as partial capitation, in which some of the payment would be based on Medicare Advantage plans’ actual costs. However, KFF says that there is still room to improve the current risk adjuster. Under the system, each Medicare Advantage plan enrollee gets a risk score based on demographics and the prior year of medical claims, as well as disabilities, institutional status, and Medicaid status. The problem is that many providers don’t code claims consistently from year to year. For example, a primary care provider may indicate on medical claims that a patient has diabetes when initially diagnosed, but might not indicate it on the following year’s claims if the diabetes is well controlled and does not require medical attention. This inconsistency leads to greater fluctuations in risk scores and less stable payments to plans. Several researchers, have concluded that using two years of medical claims data would make the risk scores more stable and increase the accuracy of the risk adjustment model, particularly for beneficiaries with mental illness and those five or more chronic conditions. Using two years of medical claims data would increase payments for some Medicare Advantage plan enrollees and decrease payments for others. Proponents say that using two years would help identify beneficiaries’ conditions more accurately and provide a more stable revenue stream for Medicare Advantage plans reducing year-to-year fluctuations in beneficiaries’ risk scores. Opponents say it would increase the administrative burden of the Medicare Advantage plans and for CMS, while only significantly improving the risk scores for the sickest beneficiaries. This option would terminate the Quality Bonus Demonstration in 2013 rather than in 2014. Bonuses to Medicare Advantage plans would revert to the bonuses authorized by the ACA. Medicare Advantage plans are rated on a scale of one to five stars. These quality scores are based on 53 performance measures, such as whether enrollees have gotten the appropriate screening tests, the number of complaints CMS have gotten about the plan, and how enrollees rate the communication skills of the plans’ physicians. Under the ACA, plans with four or more stars get 5% bonuses added to their benchmark in 2014 and later. The ACA gave bonuses to about 42% of plans in 2012. In 2012, CMS implemented a demonstration to replace the ACA authorized bonuses. For plan years 2012 through 2014, plans with four or more stars get 5%, plans with 3.5 stars get 3.5% bonuses, and plans with three stars get 3% bonuses. The demonstration extended bonus payments to include about 91% of plans in 2012. The GAO has recommended terminating the demonstration, and MedPAC has raised concerns about its design and cost. With this option, Medicare savings in 2014 would be less than $3 billion because aggregate bonuses for Medicare Advantage plans that year are expected to be lower than in 2012 ($3 billion). The CMS Office of the Actuary estimates that the total cost of the demonstration will be about $8 billion over three years. Terminating the demonstration one year early would produce only modest savings, but some question the appropriateness of providing bonuses to plans with average ratings. Proponents of the demonstration plan say it creates more incentives for plans to improve their quality ratings. This option would restructure the quality bonuses that are made to Medicare Advantage plans. It would adjust the ratings so that the plans are graded on a curve; plans in the top half of the ratings would get an increase in their benchmarks while plans in the bottom half would get a reduction. Bonuses would be applied on a sliding scale based on the plan’s quality rating. Before 2011, plans were scored for each quality measure, resulting in ratings that were relatively normally distributed. Under current law, Medicare Advantage plan bonuses are based on their quality ratings and are added to the county benchmark, which increases payments to plans. KFF says this option would result in moderate savings by continuing to provide bonuses to half of the plans and reducing payments to the other half. However, bonus payments will be smaller in 2015 and future years if the CMS demonstration program ends as scheduled at the end of 2014. Proponents say that this option would reduce Medicare spending while continuing to encourage plans to maintain or improve their ratings. Critics say plans would discourage plans from making collective quality improvements and sharing of quality improvement information among plans. Plans that get reductions in payments due to relatively low quality ratings may find it difficult to invest financial resources into improving their ratings, which could lead to stagnation in the plan ratings or other fiscal challenges. • Lower than average traditional Medicare costs. • A designated urban floor benchmark in 2004. In 2012, Medicare Advantage plans qualified for double bonus payments in 210 counties. These double bonuses accounted for about 21% of all bonus payments. Proponents say that this option would eliminate inequities across neighboring counties. Opponents say that offering double bonuses to highly rated plans helps offset the reductions in Medicare. The HHS Office of Inspector General contends that, as a result of unsupported diagnoses, PacifiCare have gotten $423.7 million in overpayments for its Medicare Advantage plan in calendar year 2007. PacifiCare of California submitted diagnoses for use in CMS’s risk score calculations that did not always comply with Federal requirements for Medicare Advantage plans, according to HHS. 1. Medicare Advantage organizations submit diagnoses to CMS. 2. CMS categorizes the diagnoses into groups of clinically related diseases. 3. CMS uses categories and demographic characteristics to calculate a risk score for each beneficiary. 4. CMS uses the risk scores to adjust the monthly capitated payments to Medicare Advantage organizations for the next payment period. • PacifiCare should refund to the federal government $224,000 in overpayments identified for the sampled beneficiaries. • PacifiCare should work with CMS to determine the correct contract-level adjustment for the estimated $423.7 million of overpayments. • PacifiCare should implement written policies and procedures for getting, processing, and submitting valid risk adjustment data. • PacifiCare should improve its current practices to ensure compliance with federal requirements. Enrollment in the Medicare Advantage program is projected to increase 11% in the next year and premiums will remain steady, Health and Human Services Secretary Kathleen Sebelius announced. Since the Affordable Care Act was passed in 2010, Medicare Advantage premiums have fallen 10% and enrollment has risen 28%. “Thanks to the Affordable Care Act, the Medicare Advantage and Prescription Drug programs have been strengthened and continue to improve for beneficiaries,” “Since the law was enacted in 2010, average premiums have gone down, enrollment has gone up, and new benefits and lower drug costs continue to help millions of seniors and people with disabilities,” said Secretary Sebelius. The average Medicare Advantage premium in 2013 is projected to increase only $1.47 from last year, coming to $32.59. However, if beneficiaries choose lower cost plans at the same rate in 2013, as they did in 2012, the average premium is expected to increase only 57 cents. Access to the Medicare Advantage program will remain strong, with 99.6% of beneficiaries having access to a plan. Additionally, the number of plan choices will increase 7% in 2013. As a result of the Affordable Care Act, coverage for both brand name and generic drugs in the Part D donut hole coverage gap will continue to increase until 2020 when the donut hole will be closed. This year, people with Medicare have gotten a 50% discount on covered brand name drugs and 14% coverage of generic drugs in the donut hole. In 2013, Medicare Part D’s coverage of brand name drugs will begin to increase, so people with Medicare will get about 53% off the cost of brand name drugs, and coverage for 21% of the cost of generic drugs, in the donut hole. Since the law was enacted, 5.4 million people with Medicare have saved over $4.1 billion on prescription drugs in the donut hole. An estimated 37 million people with Medicare have gotten a preventive benefit free of charge in 2011. Voluntary benefits are more necessary than ever in today’s workplace as the Affordable Care Act (ACA) has been enacted and health care costs continue to rise. Voluntary benefits may help employers solve a number of concerns and challenges that have surfaced during this time of health care financial insecurity while adding to brokers’ revenue stream. While struggling to control their company’s health care expenses, many employers have already passed more premium costs to employees. Many have increased deductibles, copayments, or out-of-pocket limits. In 2012, annual premiums for employer-sponsored family health coverage reached $15,745, up 4% from the previous year. Workers paid an average of $4,316 toward the cost of their coverage, according to a 2012 survey by the Kaiser Family Foundation. Premiums have increased 97% since 2002, which is three times as fast as wages (33%) and inflation (28%). As they brace for further cost increases, more employers are considering consumer-driven health plans and health savings accounts to avoid excise taxes or they’re completely eliminating health benefits. Thirty-eight percent of employers say that controlling health/medical insurance costs is a top issue, according to the Kaiser Family Foundation. With that in mind, 29% of employers plan to increase employees’ copayments; 26% plan to increase share of premiums; and 19% plan to introduce a high deductible health plan. Unfortunately, workers who are not prepared for these higher expenses may have growing resentment toward their employer. In fact, 47% of workers say they would feel more negatively about their employer if an increasing portion of health insurance costs were shifted onto them. While increases in deductibles and copayments are on the horizon, many employees are still unprepared for the financial burden of a serious illness or accident. Only 22% of workers are saving money for potential increases in medical expenses, according to the Kaiser Family Foundation. And 60% have done nothing to prepare for possible changes to the health care system. Twenty-eight percent have less than $500 on hand to pay out-of-pocket health expenses; another 23% have only $500 to $1,000, according to a study conducted January 24 to February 23, 2012 by Research Now on behalf of Aflac. A recent survey by the American Hospital Association reveals that the average hospital adjusted expenses were $1,910 per inpatient day in 2010, and the average length of a hospital inpatient stay is 4.9 days. That’s more than $9,300 for one hospital stay. Even with an 80/20 co-insurance ratio, it would be difficult for these workers to afford the costs while meeting daily living expenses.